Samsung announced the Galaxy Note 9 smartphone on Thursday during an event in Brooklyn, New York. 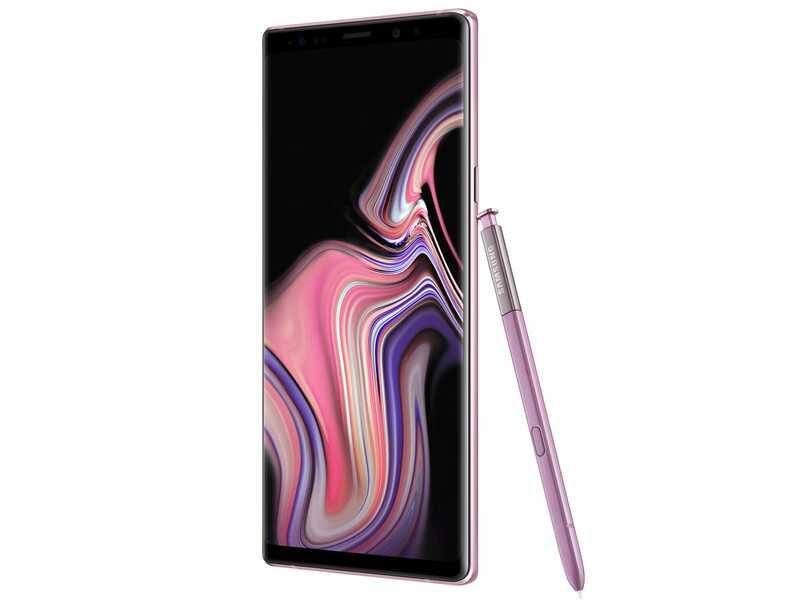 The phone comes with high-end specs and design, as well as the Note line’s signature S Pen stylus. Samsung added new features to the S Pen stylus, like remote camera control. The base model of the phone will cost $US1,000, similar to the iPhone X’s price tag. 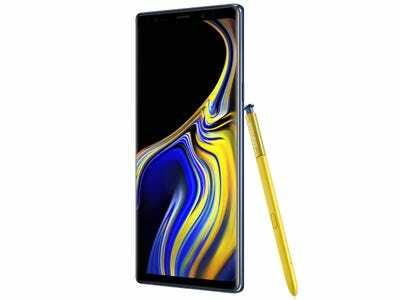 Samsung announced its Galaxy Note 9 smartphone on Thursday during its Unpacked event in Brooklyn, New York. 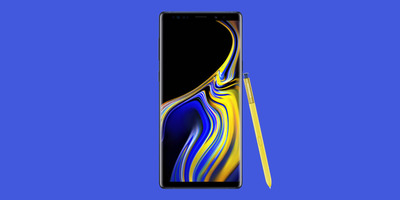 The Galaxy Note 9 is Samsung’s largest smartphone model to date, with a 6.4-inch screen, and it comes with an S Pen stylus that brings a bunch of unique functionality to the phone. The Galaxy Note 9 runs on high-end specs, including the Qualcomm Snapdragon 845 processor that turns the wheels inside most high-end smartphones in 2018. It also has a minimum of 6 GB of RAM – with an option to go up to 8 GB – which should make for smooth performance. Noteworthy is the Galaxy Note 9’s 4,000-mAh battery that’s large for any smartphone and should give it superior battery life. We’ll have to see for ourselves how much longer the Galaxy Note 9 will last on a single charge. As for the S Pen stylus, used for note-taking and general navigation around the phone, Samsung has added a few features. You can now use it to control the phone’s camera remotely. By pressing the S Pen’s button, you can turn on the camera, switch between the rear and selfie cameras, and take a photo. App developers will also have the ability to integrate the S Pen’s functionality into their apps. 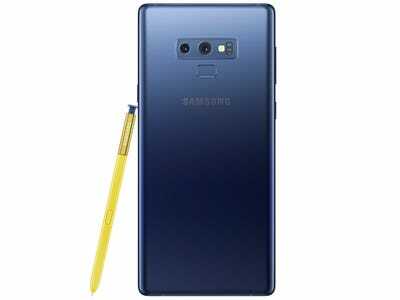 The Galaxy Note 9’s dual-camera system is also getting Samsung’s new “intelligent camera” feature that recognises what kind of object you’re photographing and adjusts the settings automatically to take the best shot. This is something we’ll have to test further when we try the phone. Both cameras in the dual-lens system have 12 megapixels. One is for regular photos and can adjust its aperture for low-light shots, while the other is a “telephoto” lens for 2x optical zooming, which is better than digital zooming on phones without a telephoto lens. Samsung also announced that the popular “Fortnite” battle-royale game would be available exclusively on Galaxy devices, starting with the Galaxy S7 and up, for “a few days” before a wider rollout. Galaxy Note 9 users will also have exclusive access to a specific character skin. Oddly, the Galaxy Note 9 will come running Android 8.1, despite Android 9’s release on Monday. It’s not the worst thing in the world, but it’s not the best either. Android phones running older versions of the operating system cause Android’s signature problem: fragmentation. The Galaxy Note 9 will be available to preorder on Friday. Carriers will start selling the $US1,000 128 GB model of the Galaxy Note 9 with 6 GB of RAM on August 24. The 512 GB Galaxy Note 9 with 8 GB of RAM will cost $US1,300.